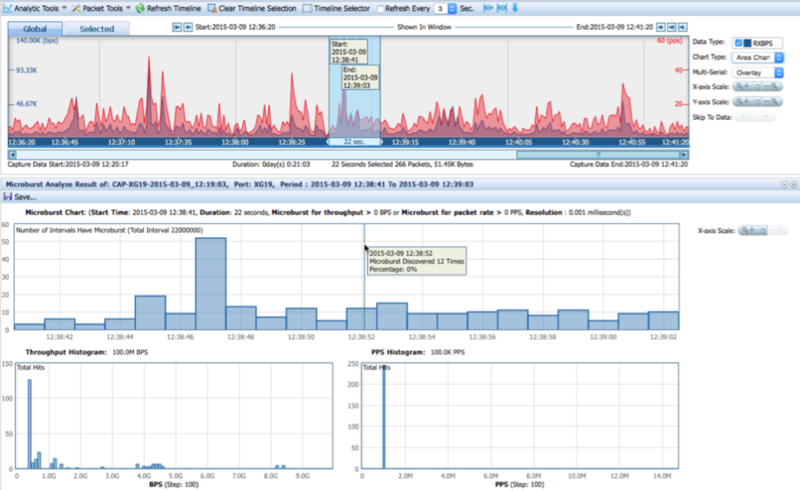 FlowMagic an advanced high performance, wire to storage Network Traffic Visibility and Analytic Appliances. 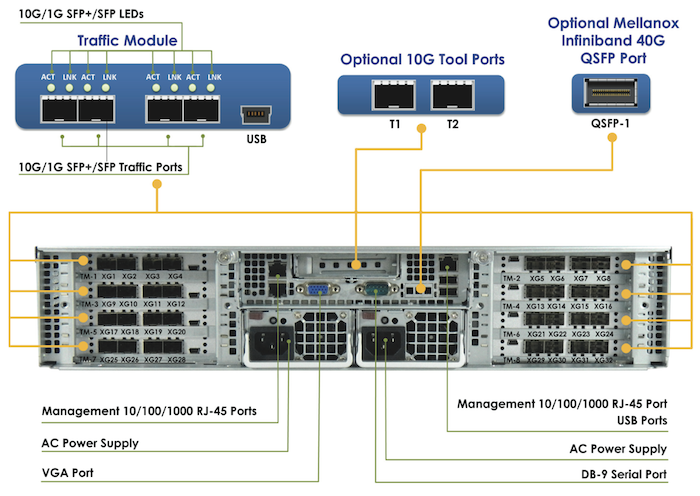 Built for scalability, reliability and market leader regarding price/performance. Scales up to 32x 1G/10G compatible SFP interfaces and supports besides local storage, external storage array through RAID or networked storage that is capable of store data at PB scale. FlowMagic is the perfect network analysis and recorder appliance solution for your security, compliance and troubleshooting needs. InfiniCORE FlowMagic is powered by InfiniOS with comprehensive functionalities available directly in a web based GUI for management, visibility and analytics. This best-in-class web based user interface can be accessible from any devices that support standard based browser such as Chrome, Firefox, Safari or IE. More importantly, InfiniCORE’s unified visibility solution is committed to support all operation flows through the standard based web based user interface. Coupling advanced analytic results with full context at packet level, IT operators achieve faster incident response, gain better policy compliance and full situation awareness for their networks. InfiniOS includes also a role-based right management to support authorized and differentiated visibility into the captured data. The innovative scale-out and scale-up storage architecture makes FlowMagic adjustable and future-proof when network bandwidth and/or storage time increase. 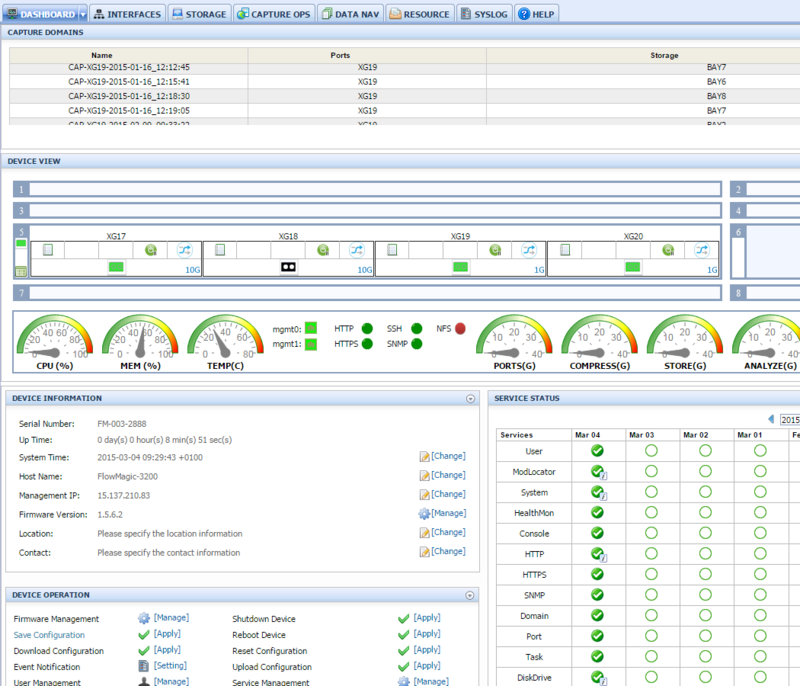 FlowMagic provides one stop total visibility into the backbone, server farms and/or central interconnection points. Traditional network recording appliances typically have a performance bottleneck to the storage system. The next generation Elastic Visibility Architecture (EVA) pulls together a scalable network packet processing, scale up and scale out storage and deep traffic analytics. With the EVA architecture, the tasks involved in the visibility are not centralized on a single processing element, which will likely becomes a bottleneck. EVA distributes computing across its building blocks that scales proportionally to the number of ports deployed. The 64bit InfiniOS is implemented on hardened Linux operating system and is optimised for performance. 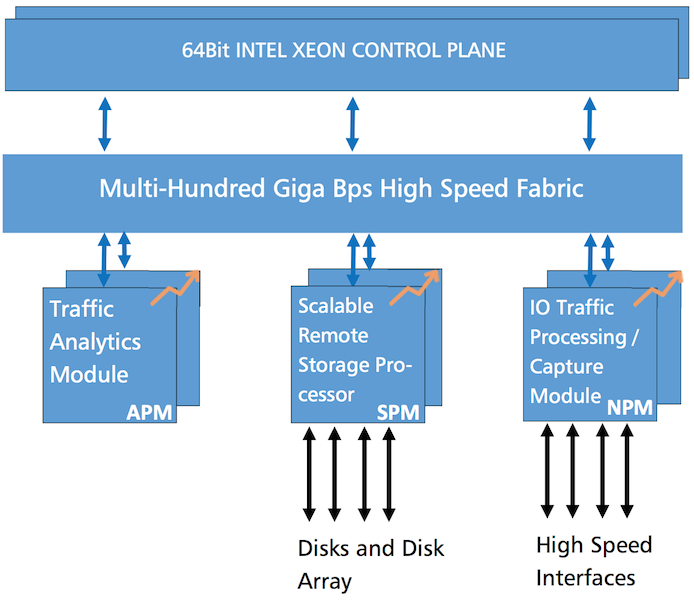 InfiniOS supports scalable processing power to ease handling of various computation tasks such as traffic pre-processing, content processing, compression and packet transformation. FlowMagic is designed to bring your vision to data with team collaboration in mind. FlowMagic enables IT operators to archive, analyse and comprehend the data in complex network environments quickly and efficiently. The rich analytical features built into web based GUI provides a whole new way to help customers to solve network issues and to ensure the quality of service. From the FlowMagic GUI, operators not only are able to view the captured date in real-time; when user is reporting a problem, operater can go back in time and retrieve data that were captures historically from storage. With the built-in analytic tools in-depth analysis and reports can be performed over the captured data. 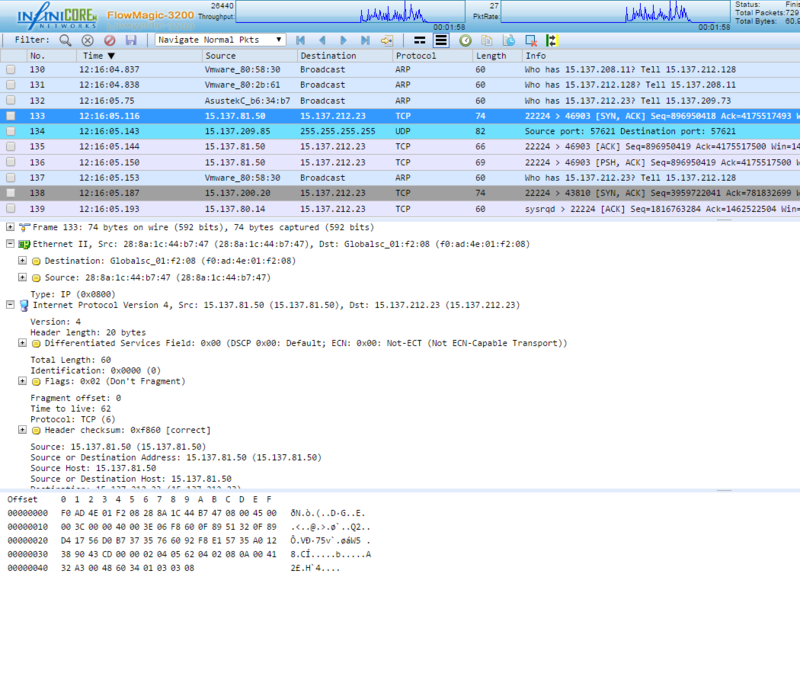 Whether operators are on-site or accessing diagnosis information remotely, FlowMagic provides direct view into network traffic with the embedded Wireshark alike packet decoder interface without lengthy PCAP transfer. Export Methods to transform the traffic of interest into portable format such as PCAP are also supported and can be shared between multiple users. This allows network troubleshooting with the preferred packet analysis tool like Wireshark or a comparable one. FlowMagic is a fully integrated high performance solution delivering pervasive visibility, traceability and analytics into 1G/10G/40G Networks. FlowMagic is an essential tool to have for network and security administrators. FlowMagic scales from portable to 4u chassis capable of up to 40 Gbps capture to disk performance. The mobile chassis FM-204P and the 1u FM-400 appliance are ideally suited for mobile and decentralised applications. For network analysis purposed in data centre environments the 2u FM-3200 or 4u FM-3240 appliances fit best. Optionally the storage space for both appliances can be enhanced with up to four external storage shelves. Alternatively existing network based storage systems can be used for storing the network data.